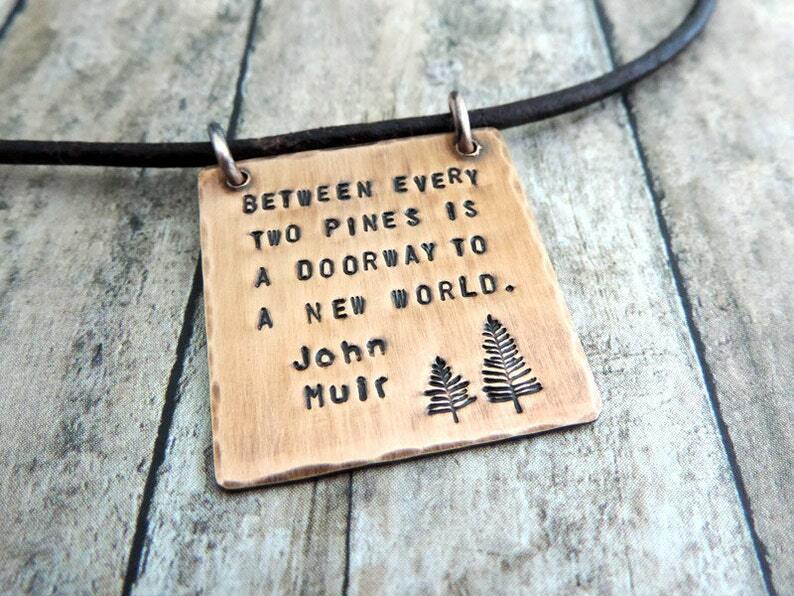 "Between every two pines is a doorway to a new world." John Muir was a well-known naturalist in the Sierra Nevada area with many famous quotes attributed to him. If you love to hike, this stamped pendant will be one of your favorite companions, on or off the trail. This is my absolute favorite quote! 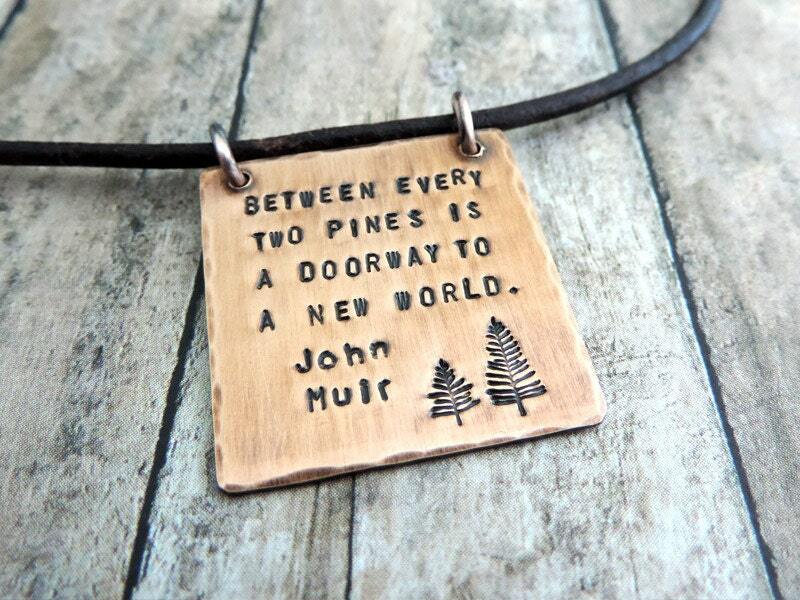 Pine trees are my obsession & this necklace is GORGEOUS!!!! PERFECT!! !